We are slowly entering back-to-school zone in my house and it’s making me a little sad. It’ll be nice to have a more structured schedule again, but man, I’m going to miss these fun, long summer days! Still, I gotta start thinking and planning and getting organized for the start of school. And that’s where today’s recipe comes in! 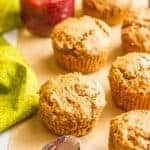 I’m sharing my quinoa banana mini muffins, which are a variation on my apple cinnamon quinoa breakfast muffins. 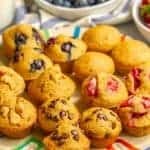 I’ve told you guys before that my kiddos are both muffin munchkins, so I’m always coming up with new muffins for them to try. The first time I made these, they were for a neighbor who had a new baby. I took her some freezer-friendly dinners but also wanted to take her some food for her toddler. My kiddos did a taste test before we packed them up and then didn’t want me to give them away! So I waited until I had more ripe bananas and immediately made them again. All for us this time! The quinoa for these muffins needs to be cooked ahead and cooled, so please plan accordingly. 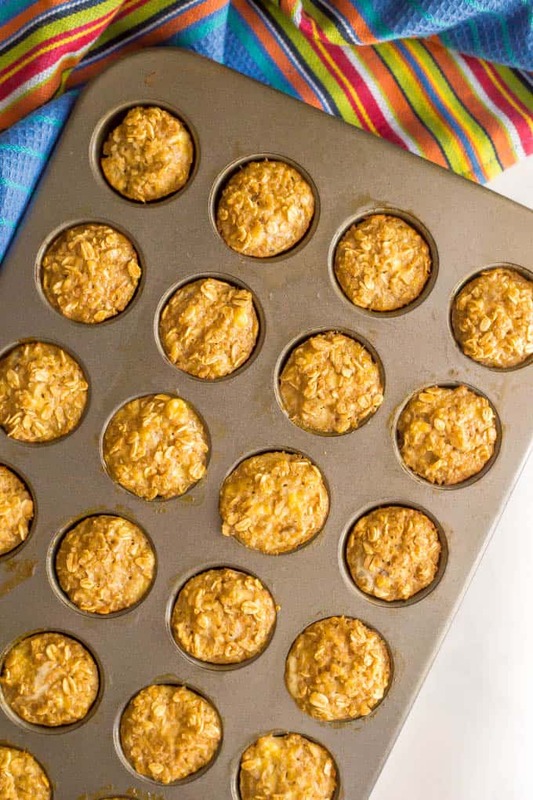 You’ll want to fill the mini muffin cups all the way up, as these muffins don’t really rise. 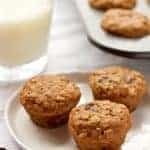 You could add some mini chocolate chips (maybe 1/4 cup or so) for a fun twist. 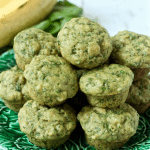 You can make this recipe vegan if you use a substitute for the eggs. After the second day, these are best stored in the fridge. (I find that is true with most baked goods with banana in them.) They also freeze great! I have and love this mini muffin tin. 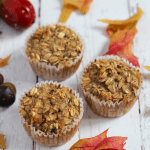 Whether for the kids or yourself, I hope you give these little quinoa muffins a try! They are great for a portable, healthy bite. And good luck to those of you who are already in back-to-school mode! I’ll be joining you shortly. P.S. 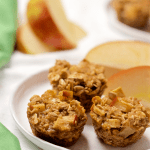 Be sure to check out all of my healthy muffin recipes for more favorites. 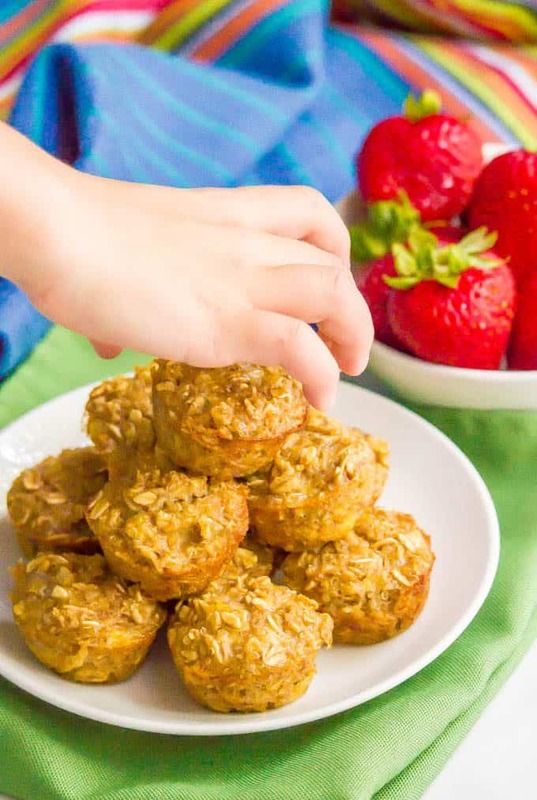 These quinoa banana mini muffins are gluten-free and naturally sweetened and make a perfect wholesome little bite! Preheat the oven to 350. Spray a mini muffin tin with cooking spray and set aside. Combine the cooked quinoa, oats, cinnamon and salt in a large mixing bowl. In a separate small bowl, mash the bananas and then add the eggs, maple syrup and vanilla. Stir to combine. 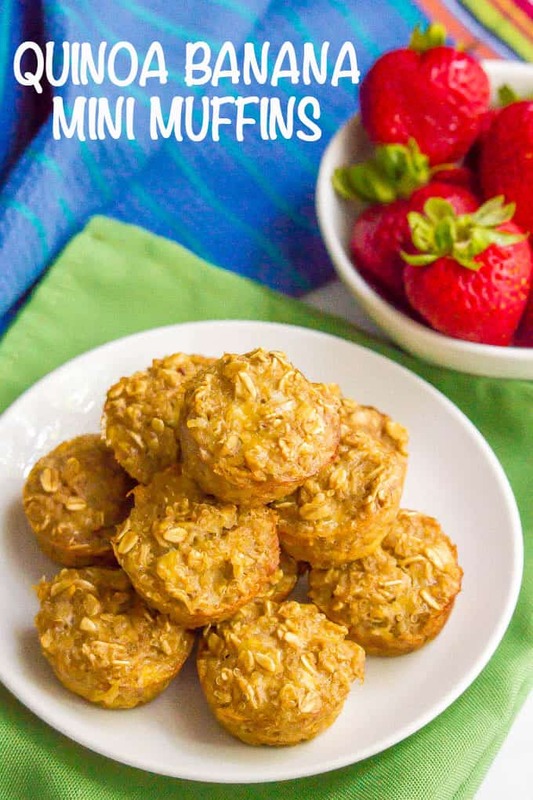 Fill the muffin tins, filling each cup to the top, and bake at 350 for 15-20 minutes, until done.